The Cinema prime CN-E50mm T1.3 L F (EF mount) lens offers a compact, consistent lens design and proven Canon lens elements for performance and reliability in professional shooting environments. Intended for the working professional, the EF Cinema Prime CN-E50mm T1.3 L F lens has markings on angled surfaces on both sides of the barrel, making it easy to read focus and aperture settings from behind or from either side of the camera. Focus markings can even be switched from standard labeling to metric. The control rings are engineered to maintain the proper amount of resistance with consistent operating torque. 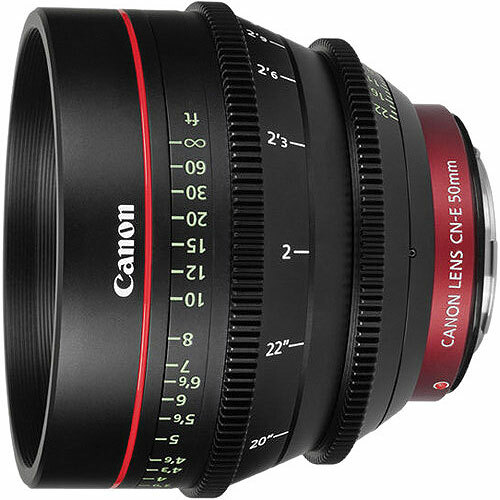 Canon CN-E 50mm T1.3 L F cinema lens is now available for rent in Sydney from RENTaCAM Sydney.